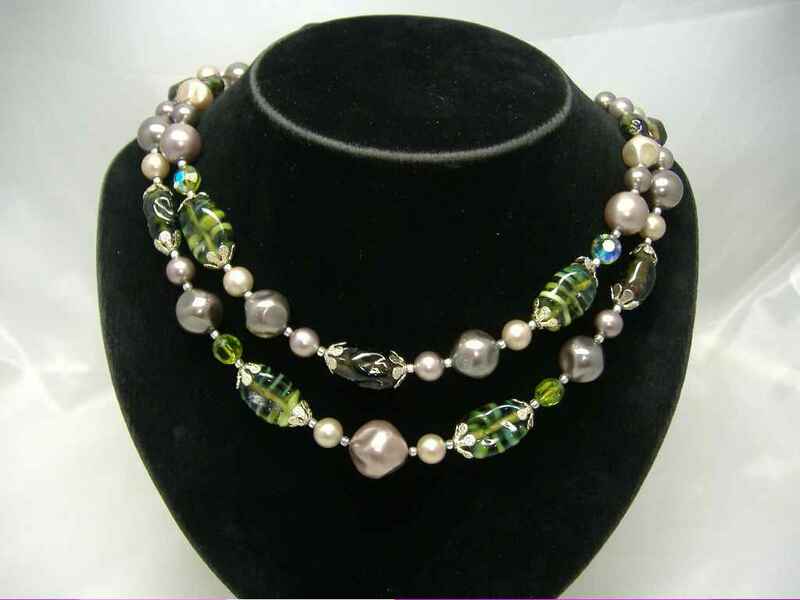 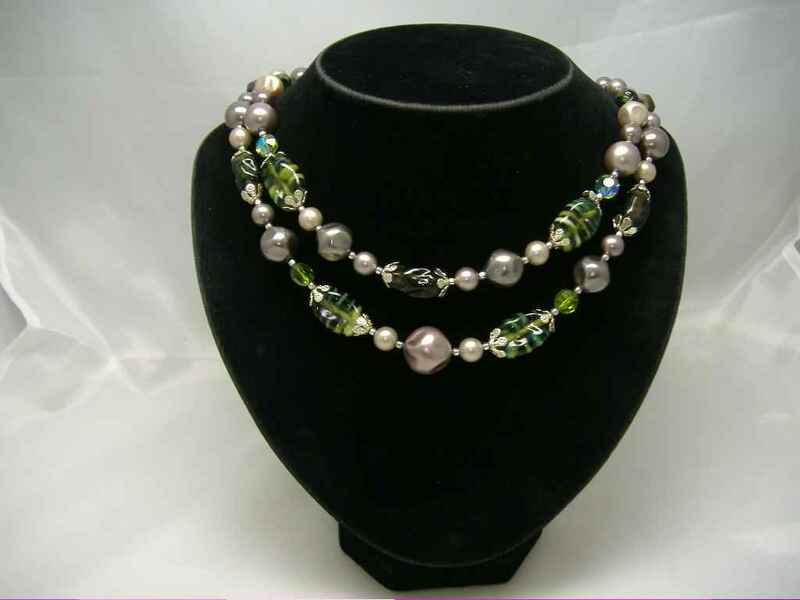 We are pleased to offer this stunning vintage 1950s 2 row faux glass pearl grey/mink coloured bead necklace interspersed with green art glass and ab crystal beads, comes with pretty round goldtone clasp. 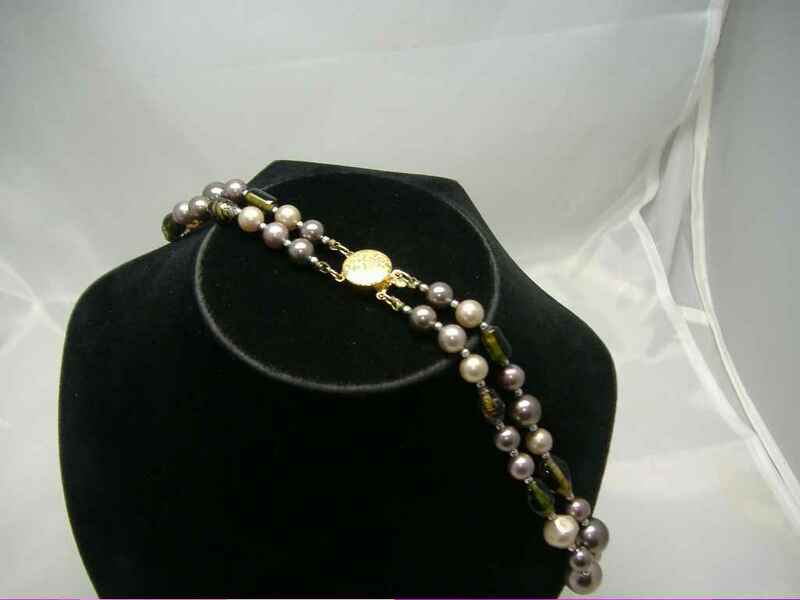 This is a wonderful, elegant piece of vintage jewellery, so go on ladies, treat yourselves! 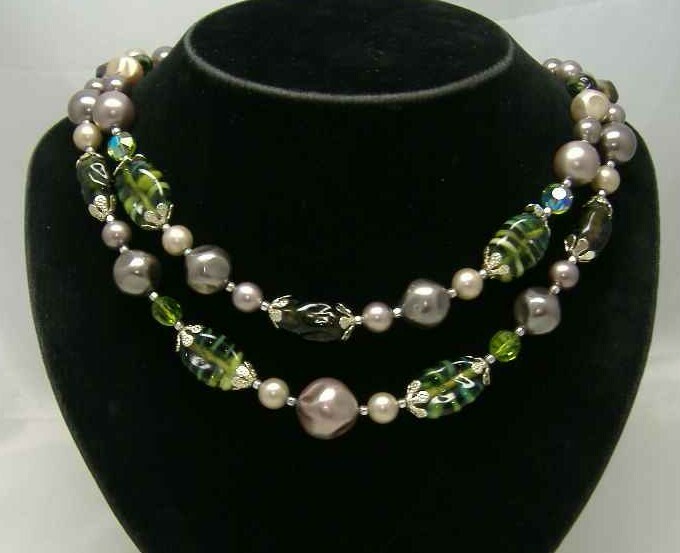 In excellent condition, looks stunning on, very unusual beads on this one, great quality as well!